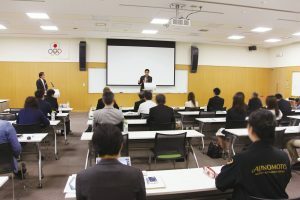 On May 10, JANE hosted “Asunabi” – an athlete career support event jointly organized with the Japanese Olympic Committee (JOC) and aimed at JANE member companies. Asunabi is a career matching system introduced by the JOC to link athletes with businesses. 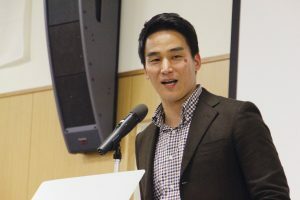 It aims to build a win-win relationship between top athletes wishing to prepare for career transitions and companies willing to give boost to work culture by tapping into athletes’ talent pool. 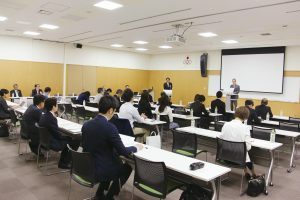 Following last year’s success, the second Asunabi event co-hosted by JANE attracted many HR managers and specialists from the member companies.